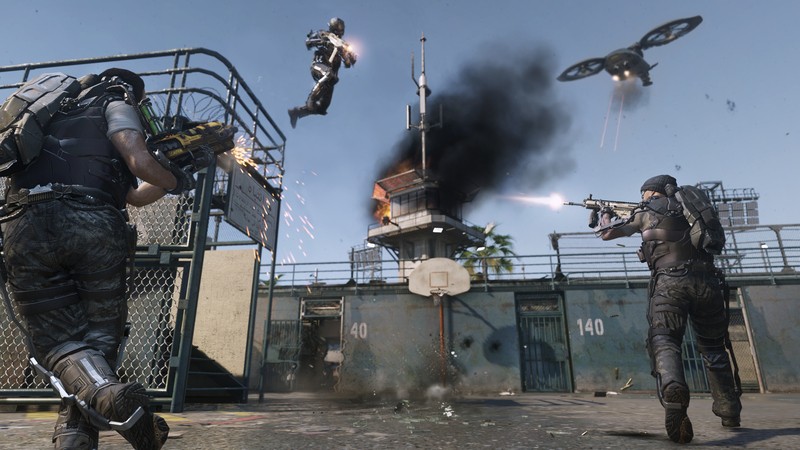 Home Gaming Call Of Duty Advanced Warfare Delivers Game Changing Experience! Call Of Duty Advanced Warfare Delivers Game Changing Experience! It is that time of the year again when Call Of Duty fans begin to find out what the legendary first person shooter will bring in its next offering. Gamescom provided gaming fans with their first look into Advanced Warfare’s multi-player function and boy does it look good! This time last year some disconcerted fans began to complain at how the series was becoming stale pointing to it’s lack of change or adaptation as its main weakness. Well, Sledgehammer appear to have tossed the COD blueprint to the side for this futuristic battle-ground with a whole host of cool features which will be new to even the most hardened COD player. The result of these changes seem to make for a more exciting, fast-paced and exciting multi-player function whilst still retaining a classic Call Of Duty aesthetic! Check out below for all of the new features and stay tuned as Flavour Mag will keep you updated with all things Advanced Warfare between now and its much anticipated launch! Activision and Sledgehammer Games have unveiled a new era for Call of Duty® with the world premiere of Call of Duty®: Advanced Warfare multiplayer. Built for next generation gaming systems, Call of Duty: Advanced Warfare fundamentally changes Call of Duty multiplayer, delivering new player movements and capabilities, along with the deepest customisation and player engagement features in franchise history. With the all-new exoskeleton, players can boost jump, dodge, dash, slide, slam and more as the action goes vertical, while using future-tech, cutting-edge capabilities and a brand-new weapon class as part of nearly 350 custom weapons. Offering a new reward system, including more than 1,000 in-game player rewards and nearly limitless customisation options that create more than 2 billion unique player combinations and more, the title offers the most in-depth, robust and advanced Call of Duty multiplayer experience ever on both next generation and current generation systems. 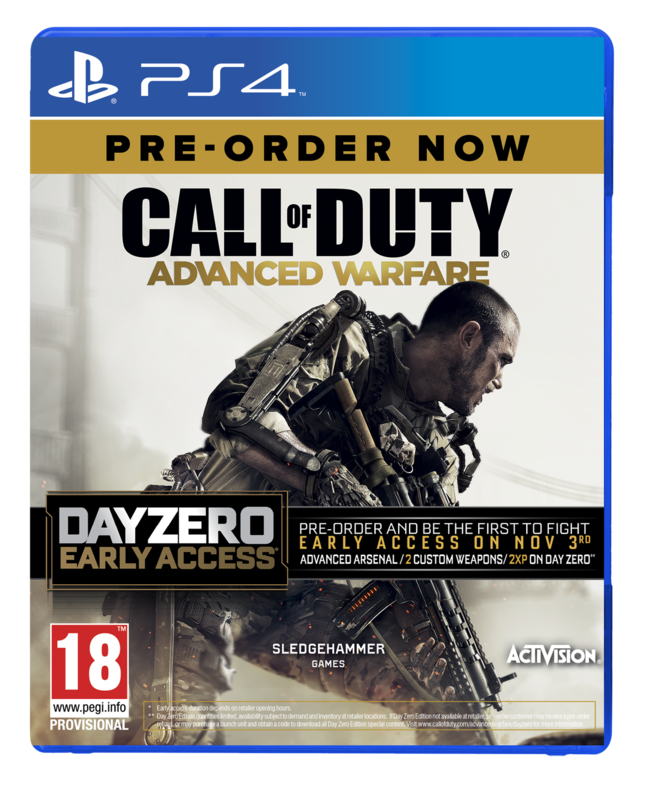 In addition to the multiplayer premiere, Activision announced the Call of Duty: Advanced Warfare Day Zero Edition, which offers fans for the first time 24-hour early access to the game starting 3rd November. The Call of Duty: Advanced Warfare Day Zero Edition is available on all platforms to customers who pre-order the game*and pick up on day zero – at no added cost. 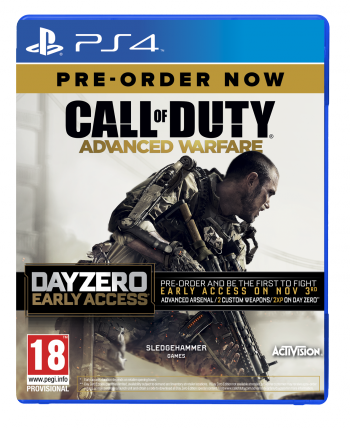 Collector’s Edition copies of Call of Duty: Advanced Warfare will also be available for Day Zero early purchase and play and will include the special Day Zero Edition content. In addition to the early access of up to 24 hours in some territories, the Day Zero Edition also includes two new, custom weapons as well as the previously announced Advanced Arsenal incentive. Three years in the making, Call of Duty: Advanced Warfare delivers a new level of tactical combat on all platforms, giving players all-new frenetic ways to move, starting with the power of the exoskeleton. 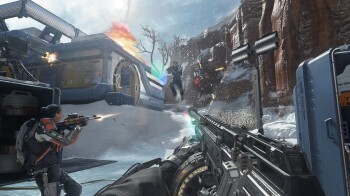 The new gameplay abilities, movements, perks and mechanics expand the verticality of sightlines and manoeuvrability, increasing the amount of strategic options available to players, while staying true to Call of Duty’s fast, fluid multiplayer experience. Players can combine these new mechanics for offensive, defensive and overall evasive manoeuvres unlike anything ever seen in Call of Duty. Also, the much loved Pick 10 create-a-class is back with even more customisable options than before with Pick 13. Gamers can now choose their favourite scorestreaks, which are fully customisable and include them in their preferred class, raising the bar on personalisation from top to bottom. 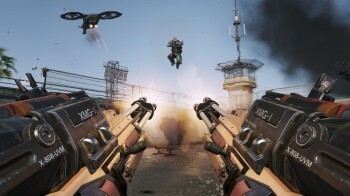 The introduction of co-operative scorestreaks also allows friends to experience Call of Dutymultiplayer together in a new way, as for the first time ever, two players can now join a scorestreak and work co-operatively. 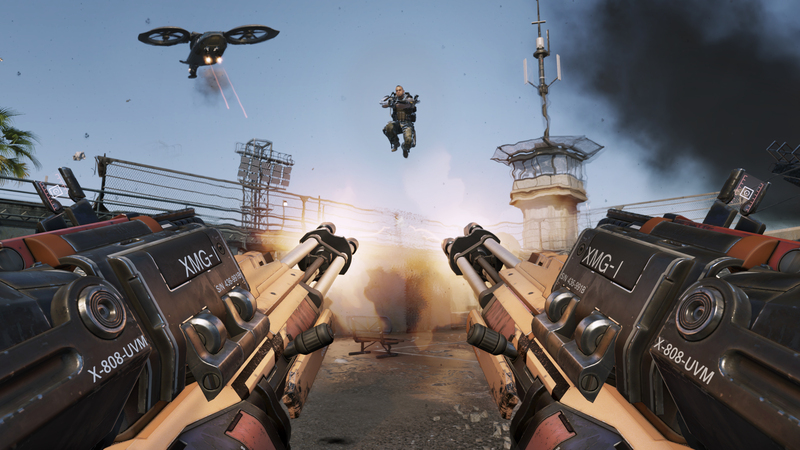 The technology of the future in Call of Duty: Advanced Warfare wouldn’t be complete without advancement in weapon technology, beginning with the debut of a directed energy class of weapons. This all-new weapon class for Call of Duty uses the power of focused energy to overcome enemies and relies on tactical heat management instead of reloads. Players can test out this new class, along with all their weapons, on the new Virtual Firing Range, a brand new feature that allows players to instantly test-drive their favourite weapon loadout with the click of a button before the next match starts. “When we set out to envision the 2054 world of Call of Duty, we spent a lot of time focused on evolving the multiplayer – offering all new experiences to the fans” said Glen Schofield, co-founder and game director of Sledgehammer Games. 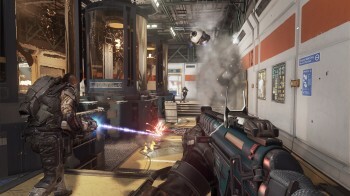 “We can’t wait for players to discover all of the new movement, mechanics, equipment and modes built into Call of Duty: Advanced Warfare, as well as the depth of customisation layered in for the most personalised Call of Duty multiplayer experience to date” added Michael Condrey, co-founder and head of development of Sledgehammer Games. Sledgehammer Games is also taking personalisation to the next level with Create-an-Operator, a new character system, which allows players to personalise their soldier however they want from heads, helmets, eyewear, shirts, vests, kits, gloves, pants, knee-guards, boots and even the exoskeleton itself. Create-an-Operator is bolstered by a brand new reward system called Supply Drops. The more someone plays, the more they earn. Supply Drops can contain anything from custom weapons to unique character gear in different classes of rarity, all giving players multiplayer bragging rights! It’s safe to say that we cannot wait! Next articleA Windmill, a Cave and a Lighthouse – The Top 10 Unusual Holiday Homes! Hip hop enthusiast currently working for Universal Music! Passion for sport, gaming and fashion. Manchester United & New York Knicks fan!